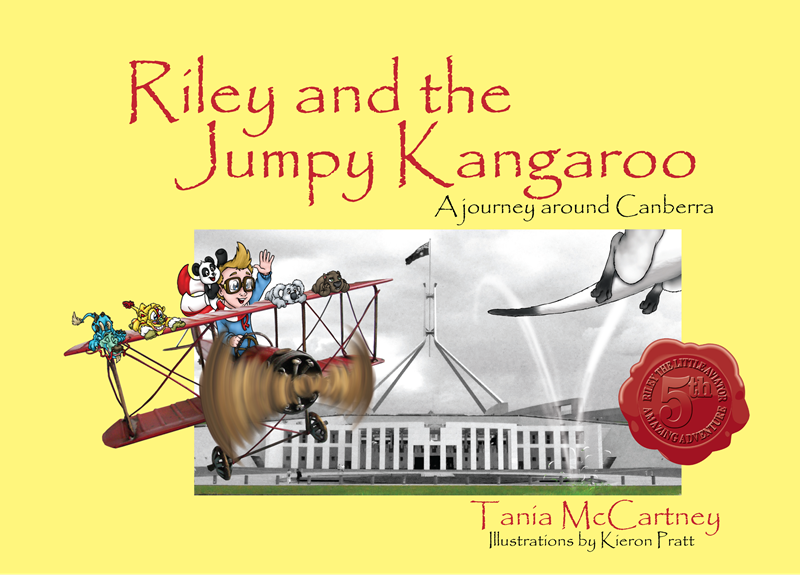 Today I have the pleasure of welcoming the lovely Tania McCartney to my blog, as a hop-stop on the blog tour for the release of Riley and the Jumpy Kangaroo – a journey around Canberra. Read on to learn more about this author and her writing process. Riley the Little Aviator has finally reached our capital! How do you decide where to send Riley and his crew each time a new book is released? This year was easy, as it is Canberra’s 100th birthday—a perfect time for Riley to visit. I had actually planned on releasing the book at the end of 2012, in time for the start of the Centenary, but I’ve been overloaded with other books, and Jumpy Roo had to wait. I think this small delay has worked out well, though, especially as I get to launch the book at Floriade, which will be extra huge this year. Kieron Pratt is responsible for the adorable illustrations in your Riley series. How much fun is it to work with Kieron? He seems like a funny guy. He’s hilarious. He’s like a cartoon character—seriously funny, and larger than life. Kieron brings SO much to the Riley series. I love sending him an illustration brief then waiting to see what he comes back with. He injects so much MORE into whatever I envisage … so much humour, new insights, new ways of thinking. I’ve actually changed text to suit his illustrations. Do other people ever suggest places for Riley to visit? They do. Especially school kids. Of course, their first preference is always their very own school, followed by their very own house. And they all want to feature in the books, too (naturally). During school presentations, I often ask kids where Riley should travel to next and the answers have been incredibly varied, although Antarctica, under the sea and the moon feature prominently. Kieron and I have talked about a trip to the North Pole to visit Santa, for a Christmas book version. I’d love to do that. Of course, it would mean a trip to Finland for photos. What a shame. 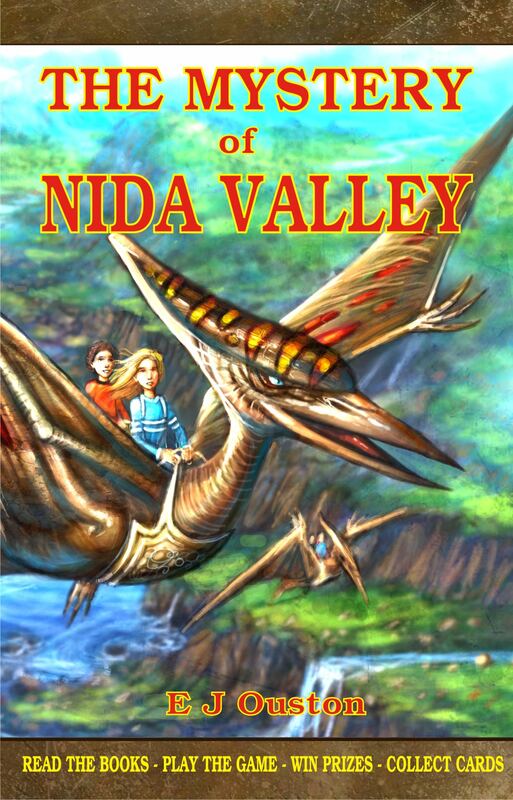 This is the fifth book in the Riley series. What have you loved most about producing these books? Definitely the travel aspect. I’m an insatiable traveller and I believe it’s an unparalleled way to expand and educate children, even if it’s to a nearby town or uncharted suburb. I’ve also loved laying out the pages for the books—I have a deep affection for book design and have been doing it for some time. It’s so fantastic to work with a publisher that allows this opportunity—not only with Ford Street but also with my books for the National Library and Exisle’s new imprint, EK Publishing. How have kids responded to the series? I’ll never forget coming home from four years in Beijing with my first picture book—Riley and the Sleeping Dragon: a journey around Beijing—and believing it would tank. The book did really well with China’s expat community but I honestly never expected the book to attract Aussie kids. I was wrong. Australian kids are some of the world’s best travelled and multicultural. I was shocked at how much kids embraced the book and this experience alone is why I made more books in the series. I love how exploration and curiosity is central to the Australian child. Watching them armchair travel in my Riley books is a real joy for me. I love seeing them explore new places or recognise their own. If you could choose any five destinations—anywhere, anytime—where would you send Riley next? Oh golly. Outer space, definitely—scooting around the planets and the stars. After that, I’d send him on a dream run to a string of tropical islands. Then Narnia. Could you imagine? The Jumpy Roo book launch is being held at Floriade this year! Anyone living in or visiting Canberra on 15 September is invited along, but RSVPs are essential if you want a goodie bag and balloon! You can find out more here. You can also visit the Riley the Little Aviator website (www.rileyaviator.com) to see updates, learn more about the places Riley visits, and see behind-the-scenes work. There’s also some Fun Activities for kids. Learn more about Tania’s books at her website – http://www.taniamccartney.com. Not since the horror movies The Exorcist and The Silence of the Lambs has anything terrified me so much. I think the story is all the more terrifying because it is happening all over the world. The Girl in the Basement by Dianne Bates is one of the best books I have read in a long time. Like all the other people who read this book, I read it in one sitting. You simply can’t put it down until the end. But don’t take my word for it, below is one of the many great reviews the book. This one is by author Jenny Mounfield. “Distant from neighbours, it stands in paddocks of tangled brambles, bleached animal bones, and pines that have shed a carpet of needles. His mother is dead, his siblings years gone and the man is utterly alone. But not for long. He has a plan. “From dawn to dusk, he labours. Sweat drizzles down his face and body; his muscles bulge and build up strength. The excerpts above are taken from the prologue. The story hadn’t yet begun and already goosebumps were marching down my spine. It was a sensation that would become familiar. When a party turns sour, sixteen year-old Libby hits the road. Little does she know that this will be her last taste of freedom for some time. Waiting in the shadows to take her home is, the man. Libby wakes in a concrete cell lit by a tantalizingly distant skylight. Over the coming months her mind will become imprinted with every detail of this place. She will never forget it. If she survives. I read a lot of books and the downside of this is that it’s rare to find one that hooks me so completely that I feel I’m living it. This is one such story. Not since, Stephen King’s, Misery, have I cared so much about the fate of a character. Part of the reason is that this story isn’t entirely fiction. It’s on our television screens and in our newspapers. It’s probably happening now. Only recently, the world was shocked and appalled to learn that three women were held captive in a house in Cleveland Ohio for a decade. Disturbingly, this is just one of far too many true stories. However, it takes more than just a story that we can all relate to on some level to hook a reader; it takes a skilled storyteller to place that reader in the front seat. This is something Bates does extremely well. I applaud her decision to include the ’man’s viewpoint. His faulty reasoning and demented logic add volumes to the creeping terror that underlies every chapter. Like groundwater seeping slowly to the surface, this damaged man’s thoughts trickle into the reader’s consciousness. Perhaps the most frightening part of all are those passages from his viewpoint that engender pity and compassion. While Libby’s story is, of course, a work of fiction, it should serve as a warning to young women whom, I’m sure, will have no trouble identifying with this character. It’s been a long time since I was a carefree sixteen year-old, yet I instantly saw my naïve young self in Libby. In short, The Girl in the Basement is heart-thuddingly creepy, it plucks at every emotion and once it has entered your reality it will linger long after the final page is turned. Highly recommended. Jenny Mounfield is the author of four books and numerous short stories for young people. Her first novel for adults, The Unforgetting, is available from the Kindle Store. Jenny’s reviews have appeared both online and in print. She lives north of Brisbane with her husband and three grown children.